Lee Valley GB Selection, a photo by thehutch on Flickr. Watching the canoeing at the weekend gave so many insights. 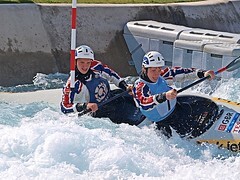 This is a tough sport and not for the faint hearted with a real show of teamwork in the double kayaks.